This could be seen as a trick question depending on how you look at. For one, we often reflect on creation and God may teach us something. This will assist in healing on multiple levels. And things in this world do echo their Creator. In simple terms, you can’t avoid using something for spiritual purposes. God is a Spirit (John 4:24), and He made a symbolic breathing/energetic earth. We know that everything boils down to energy when we simplify things. But let me get away from that for now because I want to explore another matter regarding crystals and Spirituality. Some things are easy to figure out. We’ve talked about not using crystals to contact those who’ve passed on, to repel evil spirits, or to contact God or angels, etc. Other things may not be so easy to see. Some of this may feel familiar, but I am trying to go deeper and make my perspective a little clearer. Crystals have the ability to bring repressed soul issues to the surface, and so a certain caution needs to be used in working with them. As you grow spiritually, they may reveal deep emotions and feelings that need to be transformed; crystals will help you at each step as you move along the spiritual path. In this regard, they can be very healing. The Holy Spirit does this for Christians to usher in Spiritual healing like when you are harboring unforgiveness toward someone or wallowing in fear, the past, or regret. Our emotional health is crucial for Spiritual growth. The Holy Spirit communes with our spirit and reveals deep issues of the soul. You repent, and give this to God to move along the Spiritual path. He helps us live and walk righteously. The enemy could also bring this kind of information to the surface. This is often done to push you into a dark hole of despair in an attempt to break your faith in Christ or cause you to sin. It could also be done to confuse you so that you go to creation or people, instead of God. You may have noticed that many things can bring up certain emotions or repressed memories like movies, certain places, people or music. But can crystals bring out issues? We’ll, we should not throw out everything secular people say and judge what we don’t understand. There is usually some truth to it. I’m going to explain this with the Bible, filtered ancient knowledge, and some science. Traumatic experiences, bad intentions, emotional issues, and feelings are deeply intimate, and the spirit aspect of you knows many things about you, your innermost thoughts and other things. On an earthly level, crystals (food, herbs, water, etc) balance and enhance our spirit, ruah, breath–also called energy or innate life-force. And then flows and nourishes soul and body. (This is a reflection of what God’s Holy Spirit does for us, Spiritually when we come to Christ). This innate force was breathed into humans at the beginning (Genesis 2:7). It allows us to move in our bodies (Acts 17:28). Plainly, it is the difference between a corpse and a living being (James 2:26) (Ecclesiastes 12:7). Any disruptions in the flow of this force throughout the body could cause connecting soul and physical imbalances. Though different from ours, we know that animals have a spirit energy (Ecclesiastes 3:21). You have surely noticed that flowers and plants have some type of life-force. We connect to this life energy when we consume things or get near them, like when you’re chilling at the beach (though there is universal energy around us that sustains and moves through all living things–or we and everything else would die). This is one reason you eat things as fresh as you can. Of course, we preserve goodness in various ways. The earth is filled with living, ‘breathing’ creations (Job 12:10). 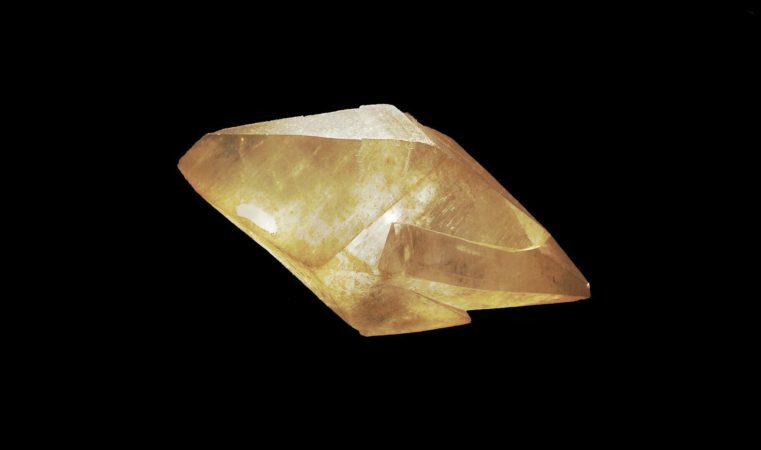 Crystals have something we can’t quite explain; they are not completely lifeless as some scientists speculate. All things carry a unique vibrational frequency. Crystals are easier to connect to than say an apple because they oscillate at a precise frequency (though you have probably noticed that foods and herbs affect you on multiple levels). The spirit is linked to and knows what’s marinating in your soul- innermost thoughts, emotions, problems you’re dealing with. 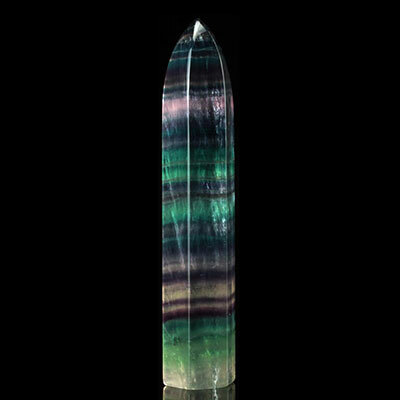 Depending on a crystal’s color and frequency, it could connect to the corresponding (spiritual) energy vortex center. Because of it’s stable atomic geometric structure, it will attempt to harmonize your energy. While trying to balance, it may reveal imbalances within the magnetic center as it mirrors this energy. How? Well, we know that negative thoughts and emotions are positively charged; positive ones are negatively charged. It is trying to ‘spit out or release’ what is causing issues, which is usually too much positively charged energy. It seems God’s creation symbolically mimics him, signaling a need for True Healing. So a problem arises when Christians seek out crystals to fix Spiritual-soul issues like unforgiveness, guilt, or other deep wounds. When you do this, creation has dominion over you. Just be careful not to omit God and replace him with his symbols that are pointing to Him. For example, if you feel guilty because you sinned, these feelings cannot be truly healed by simply letting go and balancing your being (though you may still need medicine if the feelings have affected other areas). There is a Spiritual aspect involved. Christians should feel guilty because they have sinned against God and disobeyed his Word. We would need to seek forgiveness from our Creator. It is also important to understand that some issues are of a natural origin, some Spiritual. Our being is intertwined. Certain emotional/soul issues could just be highlighting a connecting energy/breath imbalance or physical issue, but they could also be plain old issues of the soul, which would be Spiritual in nature. Of course, we can take this further. Biblically, many issues can be dissected and pieced back together. It’s possible you have a physical, emotional, or energetic imbalance because of a sinful area of your life. Perhaps you have not surrendered a certain aspect of your life to God. An evil spirit could be afflicting you like Job. The possibilities go on & on. Throughout the Bible, we see things are not always simple. This is why we must stay in sync with the Holy Spirit. It also shows the importance of approaching your health holistically to cover all bases. This could be a reason some people experience recurring ailments or have illnesses that won’t go away; they have not gotten to the root issue, whether this be of natural origins or Spiritually rooted. (1 Corinthians 11:27-32) (James 5:14-16) Though we know many sicknesses are just due to the fall of Adam. When people try to reach their ‘higher selves’ by meditating with crystals to gain wisdom or life direction, I believe they are attempting to tap into some part of their spirit. I lean toward certain ancient knowledge after studying the earth and the body. It makes sense that the aspect of you that would know deep things about you (and other intuitive things) would be the spirit as you see in the verse mentioned earlier. Perhaps we do not know how to explain this complex thing since God is there with our spirit, so we just say we are taping into our mind-soul. But that leaves out the first part of our trinity that knows what’s going on with soul and body. I believe the spirit is where natural (symbolic) intuition is and that part of you also links to the energy outside of you (which is how some people find the best place to plant etc when asking questions with a pendulum). I’ll give you an example. Close your nose and mouth. You will notice you can still move around but must connect to the universal energy outside of you to live. Anyway, whether you agree or not, trying to forcibly access this aspect of you through trance-like meditation can lead to confusion and deception. Some end up communicating directly with fallen angels, and the people just do whatever feels right. Everyone uses some type of innate intuition, which is okay, like when you make custom concoctions, use motherly intuition, sense direction, energy imbalances, or find underground water on a piece a land, etc. For Christians, we also know the Holy Spirit is there with our spirits. We were reborn Spiritually and should sync into this Intuition. We should not seek to become our own gods and let innate instincts take over and lead our lives and decisions. Just keep in mind that the Holy Spirit is our Guide and revealer–not saying God can’t use whatever he wants to help us. As I mentioned earlier, of course, he can and definitely does use all things for healing purposes. For example, we know creation can open us to be more receptive of our need of Spiritual healing, even though we don’t put our trust and hope in things. We even see this when we make unwise choices; he uses our mistakes and teaches us. He also uses evil spirits and people to show us something. Just because he uses everything does not mean He is always pleased with what we are doing. Our humanness causes us to fall easily. To use crystals and other energy arts, one must be Biblically discerning. Christians should test everything. I strive to not do whatever feels right to me because I could deceive myself. I seek out God and get his approval and understanding (no matter how long this may take sometimes). Actively going to crystals to cure soul ailments like unforgiveness or to usher in superficial happiness can be a form of idolatry. We should not try to use these gifts (or anything or anyone) as a replacement for God’s Holy Spirit, our saviour Jesus Christ, His Word, Biblical counsel, & true Spiritual Healing.